“Rule Britannia, Britannia rules the waves!” Great Britain’s association with sailing goes back centuries, and during the height of its power the United Kingdom of England, Scotland and Wales ruled the world via the strength of its navy and skill of its sailors. Today the UK’s populace are less likely to man their boats to shackle the world’s far flung corners and force them to swear allegiance to the Queen, and more likely to take a recreational sailing holiday in one of the many great coastal locations around this small but mighty island. England, Wales and Scotland all have their own unforgettable stretches of coast, with countless treasures, natural and man-made to discover, such as windswept cliffs, white-as-snow beaches, historic towns, royal castles, bustling ports and picture postcard villages. 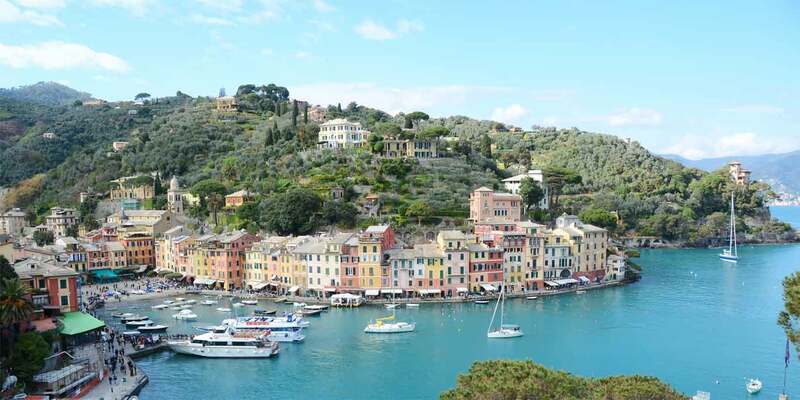 Being sailing nations, wherever you are in the UK, you’re never far from a well equipped marina, not to mention a host of professional yacht charter companies where you can hire boats, catamarans, motor and sailing yachts of all descriptions. 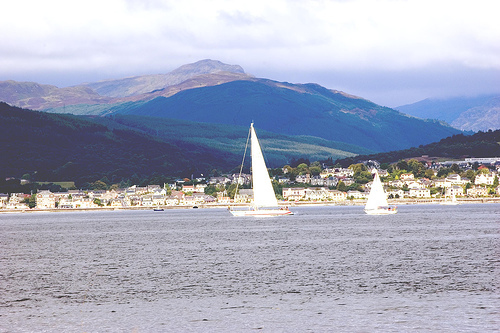 There’s also a host of inland opportunities if a sailing holiday in the lake district is what you’re after, or a vacation cruising the lochs of Scotland (just watch out for those monsters!). 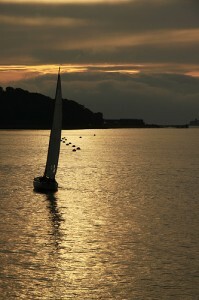 Starting with England’s South Coast, the Solent is perhaps the most famous sailing destinations of all. 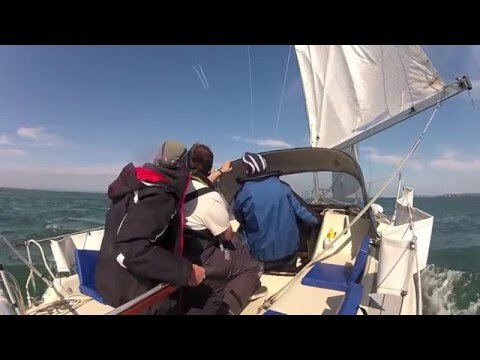 This narrow stretch of water, runs between the Isle of Wight and the UK mainland and is one of the busiest in the country in which to sail and, particularly for beginners and holiday-makers, probably the best. The waters are sheltered by the island and a host of great destinations are within a few hours sailing distance of one another – such as Portsmouth, Southampton, Spithead and Lymington. The Isle of Wight itself is a magical destination, with its famous multi-coloured sands, Needles rocks and Blackgang Chine amusement park. Its principal port, Cowes, is home to the longest running sailing regatta in the world – Cowes week – and has been a fashionable sailing resort since Victorian times! The waters here will be full of yachts and sea dogs with whom to trade stories and good times! This page will be updated with sailing info on Cornwall, Devon, Wales, Scotland and the Lake District soon, and we’ll also publish a separate guide to vacations in Ireland and Northern Ireland too. 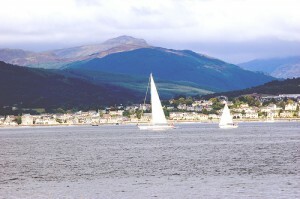 Try our search engine, where you can compare prices on dozens of boats on the UK’s south coast. And if you can’t find what you are looking for, please send us your request via our enquiry form instead. Check out our other guides to chartering a yacht in Poland and sailing holidays in Croatia for more ideas. Visit Great Britain. The UK’s official tourism site has plenty of useful info about attractions, events and practicalities.